The embattled HS2 project is hoping infrastructure comms veteran and Tony Blair's former spokesman Tom Kelly is the man to help turn the tide of opinion in its favour. The current Network Rail director of corporate comms will start as comms director for the high-speed railway project on 1 April. It is the latest challenge in a career that has featured a decade in government, including six years as comms adviser to the former prime minister, and a three-year period as comms supremo for mega infrastructure owner BAA, which at the time encompassed Heathrow, Gatwick and Stansted Airports. The past failures of HS2 to win over public opinion, and political ambushes such as the one Camden Council today revealed it is planning, suggest an uphill struggle for Kelly. Its PR spend is one point on which it has come under fire, with The TaxPayers’ Alliance pointing to a spend of £1m on comms for the first ten months of 2013. According to the self-appointed tax watchdog, this included £30,000 a month in fees for HS2’s PR agency Westbourne Communications. 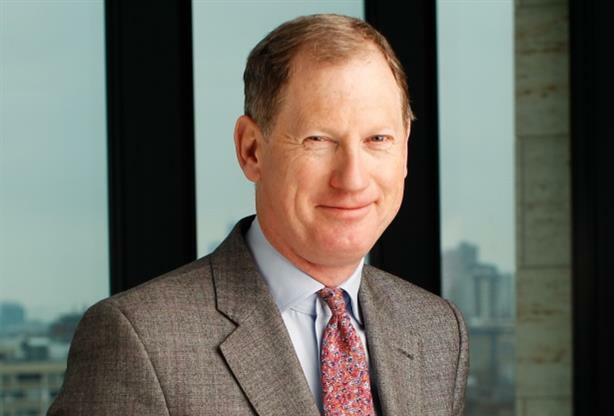 Kelly declined to discuss HS2 with PRWeek before he starts his role, but a source close to the project says the PR strategy will move away from focusing on speed to making a case based on capacity. "HS2 will reduce delays and take people off the roads, so even those towns without an HS2 station will feel the benefits," the source says. The choice of Kelly for the role is based on appointing someone with comms experience at the highest level, they say: "You need someone who is proactive, bold and visionary. You need a clear strategy, which HS2 has not had so far." Kelly began his career as a journalist at the Belfast Telegraph and the BBC, and went on to lead comms at the Northern Ireland Office during the peace process before becoming Blair’s spokesman from 2001 to 2007. He then took comms director roles at BAA, the Financial Services Authority and Network Rail. His career has not been without its controversial moments, including when Ian Paisley compared him to Machiavelli after a strategy document in which he planned a PR offensive for the Belfast Agreement referendum was leaked, or during the Hutton Inquiry, when he compared deceased weapons expert Dr David Kelly to fictional fantasist Walter Mitty, in what Kelly claimed he thought was a private conversation with a journalist. He survived calls for his head over the comment. Portland MD Steve Morris, who worked with Kelly in 10 Downing Street as head of the Strategic Comms Unit, describes him as "a likeable guy with a dry wit", and maintains Kelly’s role in government was one of the toughest jobs in comms. "He’s not afraid of controversy and challenges, and it’s easy to see why he has been chosen for the job." HS2 will be Kelly's third assignment involving winning political support for mega-infrastructure. It is possible to question his track record at BAA, which coincided with the Competition Commission forcing it to sell off Stansted and Gatwick despite several appeals from the company. One comms professional who has had Kelly as a client, but prefers to remain anonymous, defends him. "At BAA he was handling comms for the biggest game in town – it was high-profile, highly regulated and controversial. He ran comms at Heathrow during an incredibly turbulent period and he handled most things well. That’s not to say there weren’t setbacks, but it generally bounced back from them. It was a very difficult operation. Running a team like that is one of the toughest jobs in comms." At Network Rail, the state-backed operator of Britain's rail network which has frequently been in the news for the bonuses paid to its senior management, Kelly's task was different, says the source. "Keeping Network Rail out of the news is a very different challenge and has changed massively since then, seeing train travel double in the past 15 years. Managing comms around a huge organisation during a period of such change is a very difficult job." The TaxPayers’ Alliance campaign director Robert Oxley says Kelly might be able to help HS2 rebuild build trust by engaging with critics. However, he suggests that even someone with Kelly’s experience will struggle to rescue HS2. "It will be an uphill battle. Whatever comms strategy he comes up with, the numbers behind it won’t back up the case," he maintains. "If you’re selling a crap product no amount of spin and comms is going to change that." For now we will have to wait until HS2 clears the way for Kelly’s imminent arrival before we can see him in action.